To summarize: this was an awesome sequel. I had so much fun reading it and figuring out the mystery alongside with poppy. I managed to guess the murderer correctly, which was fun, but there were parts I only figured out when Poppy did. There is a great twist concerning the mystery which was really well done. I like seeing Poppy settling in here in her new house and town and how she's working on her gardening skills. It felt realistic that she made mistakes and even tough I didn't always agree with how she handled things, I do think her reasoning made sense and was in character. There is a great cast of side characters and also some great connections Poppy makes with them. All in all this is a great new series and I would recommend it to those who love cozies! 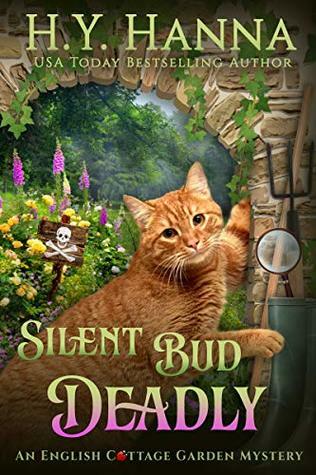 Sign into Goodreads to see if any of your friends have read Silent Bud Deadly.